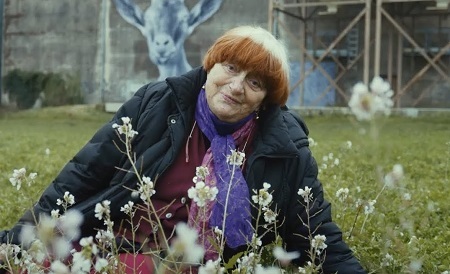 Legendary director Agnès Varda and photographer/muralist J.R. travel through France, make art, discuss their lives and strike up an unlikely friendship. The great French filmmaker Agnès Varda won an honorary Academy Award this past year. She, along with co-director J.R., was also nominated for a competitive Oscar for Best Documentary for Faces Places. I honestly thought she was going to win that as well, and as solid as the Russian doping documentary Icarus might have been, I’d much rather if my prediction had come to pass. Born in May of 1928, Varda has been making movies since the mid-1950’s. She was one of the early pioneers of the French New Wave and, sadly, oftentimes its forgotten founding member. A handful of her masterpieces include Cleo from 5 to 7, Le Bonheur, One Sings, the Other Doesn’t and Vagabond. Her movies a striking in their intimacy, surprising in their humor and hard-hitting in their emotional specificity. It’s hard to know where to begin with her and artist J.R.’s Faces Places. It doesn’t feel like it should have been a documentary. 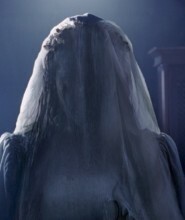 It’s flippant, unfocused, slight and frankly weird. But that is also what makes it special. The friendship the pair strike up, the intimacy of their various conversations, the sheer simplistic audacity of much of what they showcase, all of it adds up to something intimately spellbinding, the whole motion picture casting an undeniably enchanting spell that’s downright marvelous. More than that, at the cusp of entering her 90th year on this planet, Varda isn’t one to mince words, and some of her insights and observations (especially as they concern fellow French New Wave director Jean-Luc Godard) are oftentimes shocking in their blunt frankness. But this is a movie about creation, love, family and togetherness. Faces Places has hope in tomorrow, and the way it looks both backwards and forward in order to dissect what is happening in society right now is just plain marvelous. Make no mistake, this is a special documentary, and altogether Varda and J.R.’s creation is a motion picture well worth treasuring far into the foreseeable future. 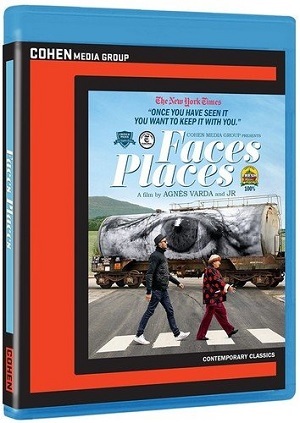 Faces Places is presented on a 50GB Blu-ray MPEG-4 AVC Video with a 1.85:1 1080p transfer. This Blu-ray features a French DTS-HD Master Audio 5.1 soundtrack along with a French Dolby Digital 5.1 track and includes English subtitles. 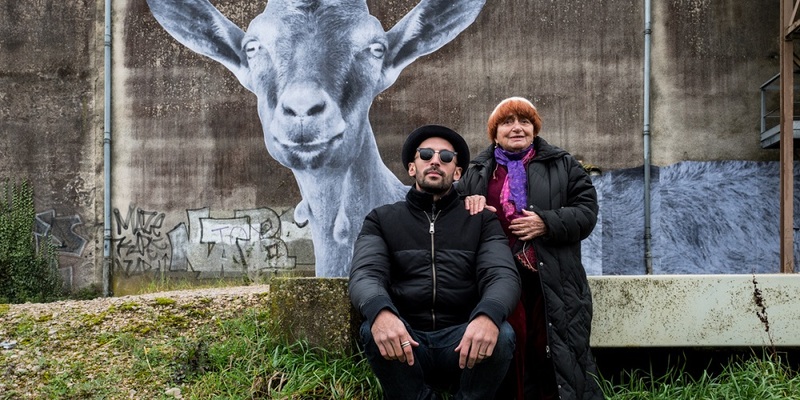 Chance is the Best Assistant: Agnès Varda and JR on Faces Places (46:39) – Engaging interview piece with Varda and JR. Definitely worthy of a watch. Letters (3:29) – Instead of people getting their faces pasted on the side of a building, here they’re holding letters. An amusing curiosity. Cabin (3:54) – This feels like a deleted scene or an outtake. 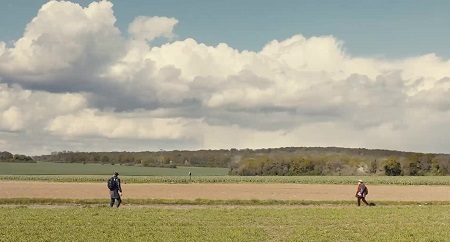 Music (3:33) – Lovely little short looking at composer Mathieu Chedid. I can’t say Faces Places was the best documentary I saw in 2017, but it is without a doubt one of the more giddily and exuberantly enjoyable motion pictures I’ve had the pleasure to watch in quite some time. It’s a joy to watch, Cohen Media’s Blu-ray presentation of the film simply outstanding.